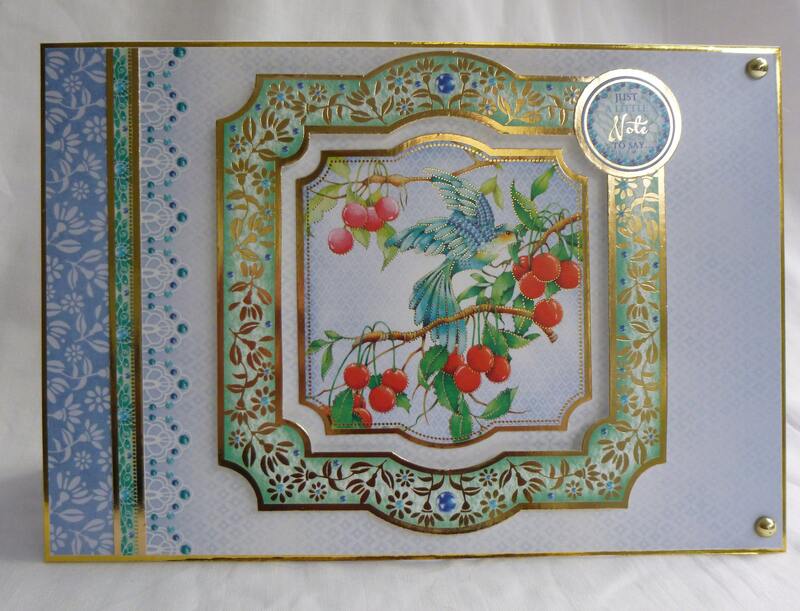 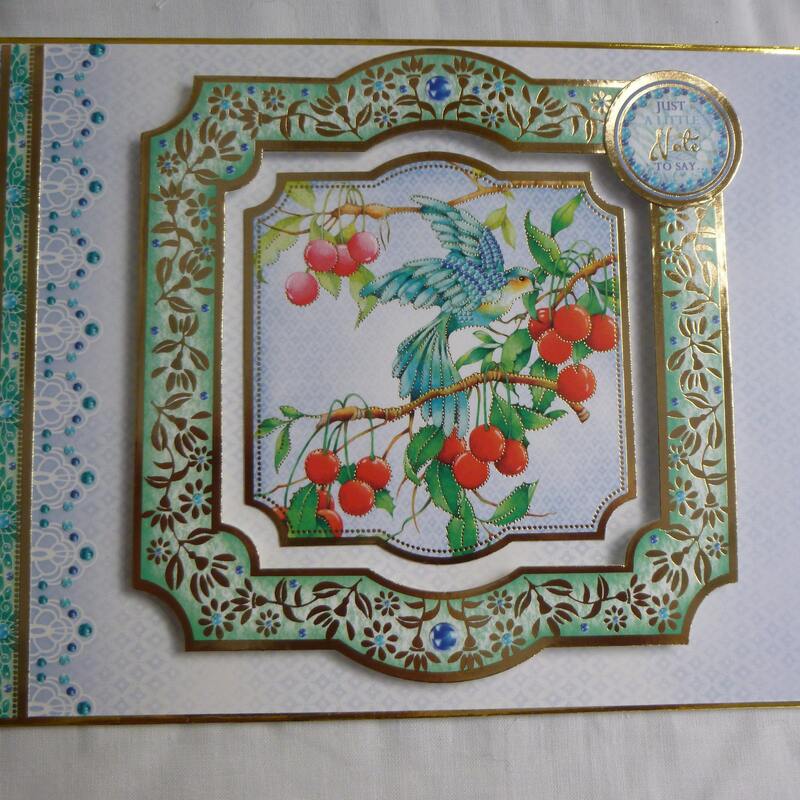 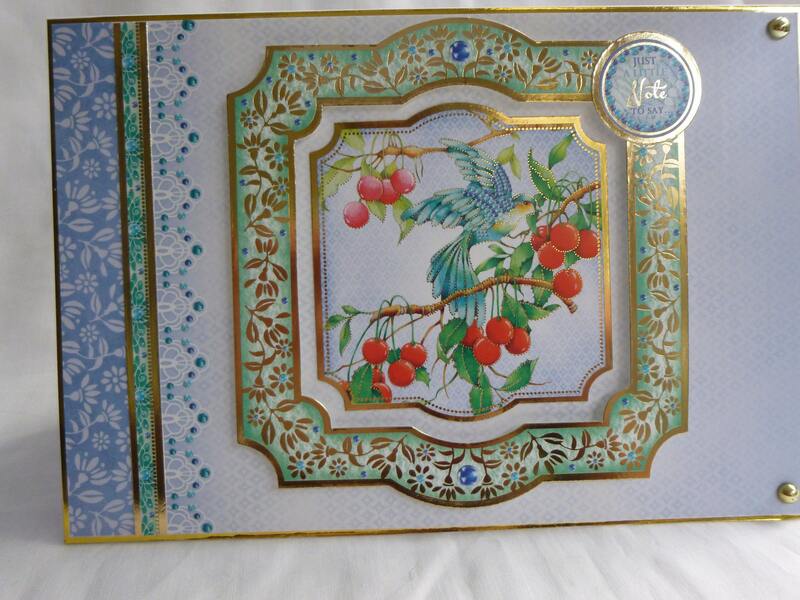 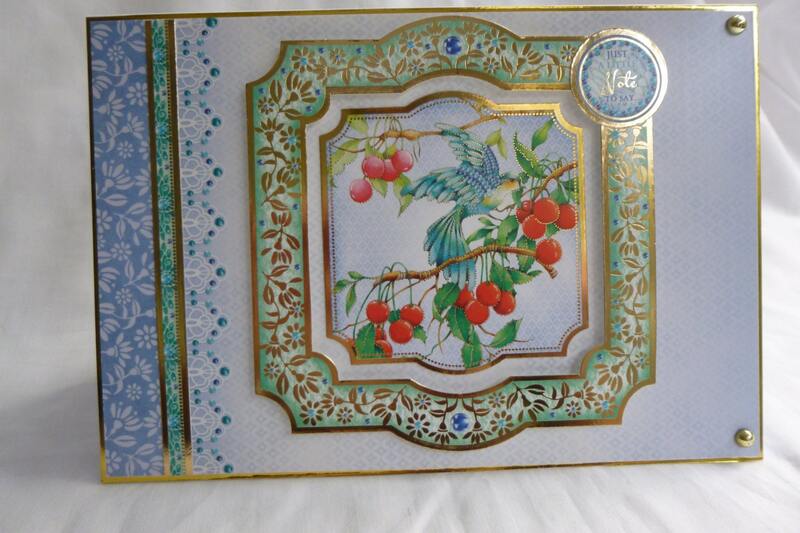 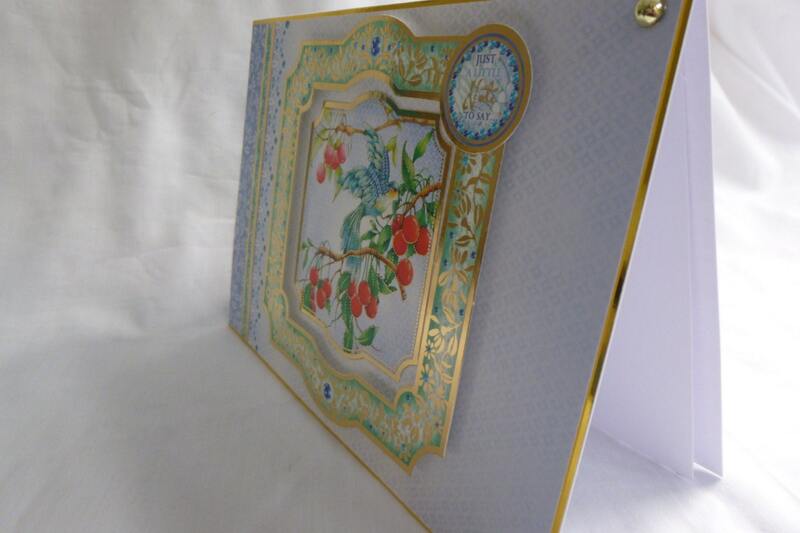 A card suitable for anyone of any age, made from white card, layered with gold card, and patterned card pale blue and white, a large shaped frame in the centre with a large topper in the centre of a brightly coloured bird in a tree of red fruit. 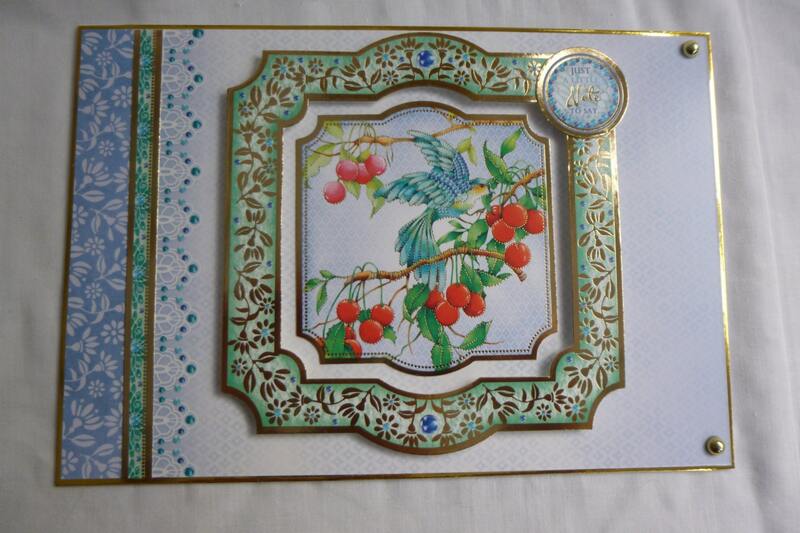 In the top corner of the frame is a sentiment saying,' Just A Little Note To Say'. 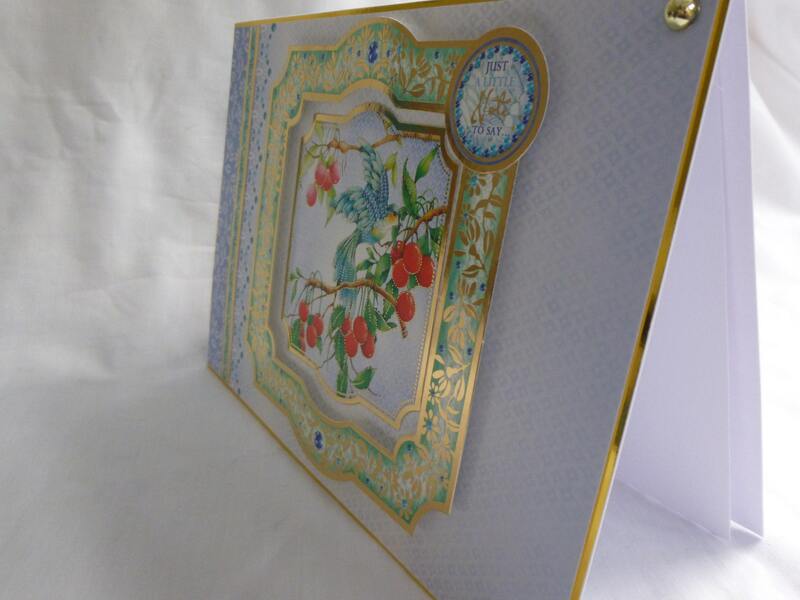 Two gold embellishments top and bottom of the right hand side of the card. 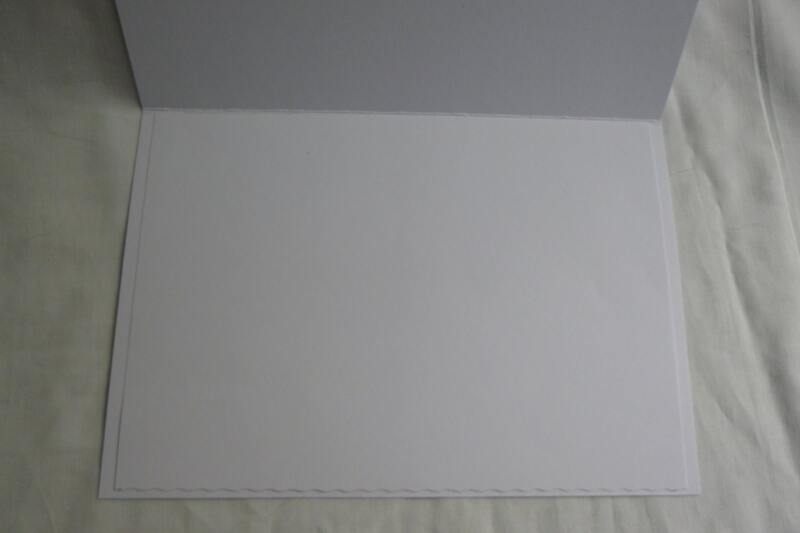 Inside the card is plain white paper insert for you to write your own personal message. 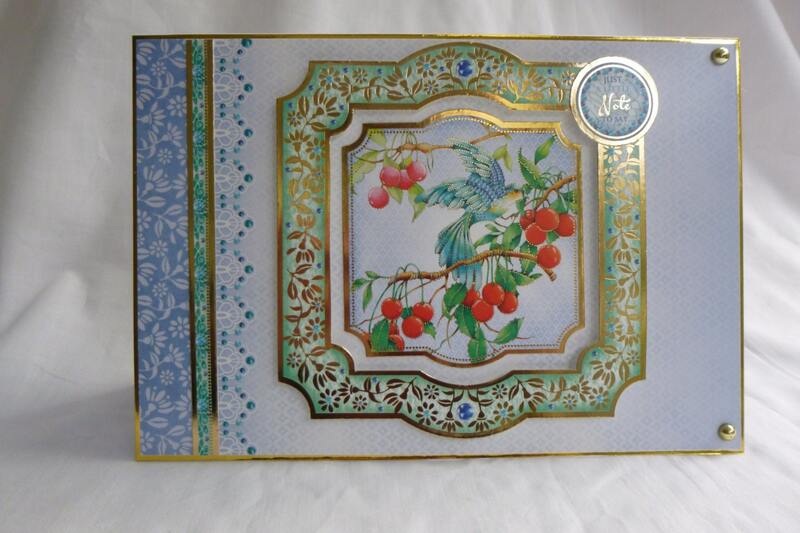 Sentiment on the can be changed please message me.